Every penny raised stays right here at home. There is a question in the back of every donor's mind with every check written, with every dollar donated. Will my donation really make a difference? Am I really having an impact? 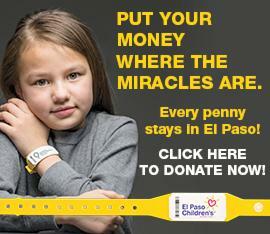 Every penny donated to El Paso Children's Foundation stays right here at home. 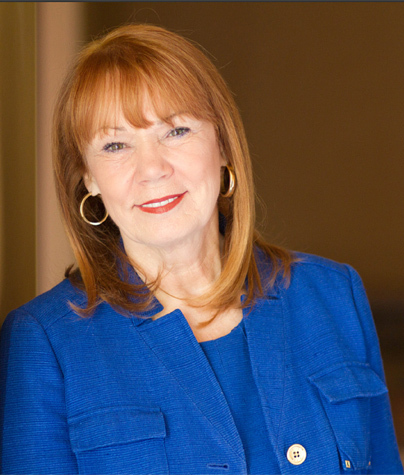 El Paso Children's specialty services have already impacted one out of every three El Paso children. One out of every four El Paso families live below the Federal Poverty level. Some of those kids wouldn't get specialty care if if weren't for El Paso Children's. 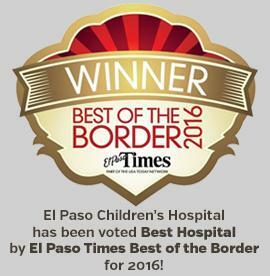 Over 3500 cancer and hematology kids are receiving the latest protocols through El Paso Children's Southwest University Blood and Cancer Center. 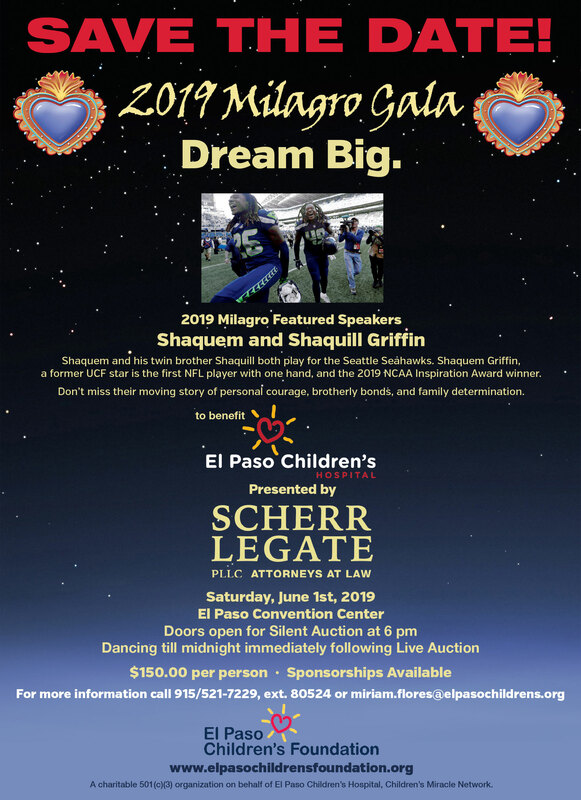 Since 2009, through the support of generous donors from every walk of life, El Paso Children's Foundation has raised almost $11.5 million dollars through over 80,000 donations large and small from events, grants, major gifts, pledges, and merchant balloon campaigns to provide medical equipment, training, a therapeutic art program, public education about child abuse, diabetes, drowning prevention, asthma, and family care grants. Every sick kid deserves the best care possible. With your help, they will receive it. Local Walmart and Sam's Club Stores Raise More Than $400,000, $1 at a Time!